Do you know where your superannuation money is invested? Many people don’t. Sometimes we view super as ‘out of our control’ or ‘too hard to understand’. Perhaps it’s something you feel you shouldn’t have to worry about, and therefore don’t take an interest in it. In such a case, you file your superannuation statement under ‘S’ and forget about it. If you currently or previously have had a share portfolio or an investment property outside of superannuation, you would usually be interested in how the investment is going. If you have shares, you might be interested in how they were performing. If you have a property, you might be interested in what your tenants are like. Your super fund is one of your investments, too. You are the beneficial owner – it’s your money. It’s a good idea to understand how it works. When you start with a new employer, a new superannuation fund is typically set up for you. The superannuation fund is usually called a default fund with a default investment strategy. Within your superannuation fund you will also normally have investment choices. You may be able to choose between investing in shares, property or cash, or you might have some options like ‘conservative’, ‘balanced’, ‘growth’ or 'high growth’. Make sure you have a look at this as the default investment option may not suit your financial circumstances. Your superannuation fund is in your control and together we want to help you get the most out of it. If you have any questions about your superannuation, don’t hesitate to ask. To learn more about superannuation, visit the Superannuation learning module. You will learn how investments are taxed inside super and much more. To learn more about different investments, types of return and performance analyses, go to the Investments learning module. If you find superannuation a bit dry & boring and you tend to never get around to it - why dont you watch this video on procrastination. 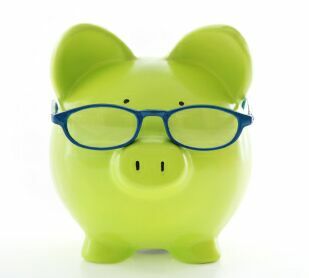 If you want to learn more about beneficiaries for your superannuation fund click here.